Hours of Netflix every day: depends on the day, but 3, maybe 4? Now that that is clear again, it’s time to talk about some series I’ve watched lately! First of all, this handsome conman that constantly knows how to charm me even though he’s just a character on a TV show. I mean, look at him. But okay, besides Matt Bomer’s good looks, this show is also really good and I do recommend it (obviously). It’s your typical crime show, but with the twist of watching it mostly from the criminal’s perspective and how he manages to, even with an anklet on that tracks his movements, stir things up and causes some trouble. Give it a try and be as sad as I was when I reached the end of it. Okay, fine, I admit that a show with only seven episodes isn’t much of a binge session, but CAN I JUST CONTINUE TO STRESS HOW MUCH I LIKE IT? Yes? Thank you. 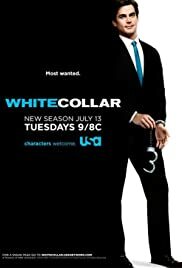 Besides, if you wait (and, for fun, just watch white collar in the meantime…) you’ll have an entire season to binge and it’ll definitely be worth it. Seems like a good deal to me. If you want to know more about the show before you start to watch it, just click here and you’ll be redirected to the series introduction I wrote about it! 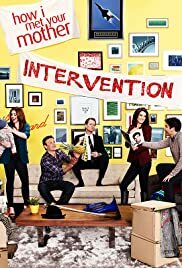 Can HIMYM ever not be good for the heart of a binge watcher? 9 seasons, 208 episodes that are all available on Netflix and just keep on going, that’s what I call pure perfection. 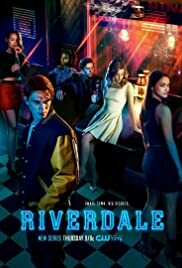 People that thought of series with episodes that only last 20 minutes are the true heroes (or devils, maybe) since they know what it’s like to ‘just quickly watch one episode’ (even though everyone knows that you’ll end up spending your entire evening on Netflix… let’s face it, it’s true). Anyway… if you haven’t seen this series, shame on you and go watch it, it is legen…. wait for it… dary! Legendary! (Yes. I had to make that cliché joke. Let me be, I’m only human). If you have any recommendations of shows that I should watch, please leave a message down below and I’ll check it out! (even though the odds are that I’ve already watched it, but it’s worth the try?). Judith is a reviewer at this website, specialized in series. She studies International Communication and Media and has a talent of binging through four seasons of a TV show in less than three weeks. In her spare time she sports, writes fiction, watches movies/series or cooks for her roommates. Sarcasm and bad puns might be found in her articles, so read them at your own risk.